You are here: Home / CFO as Chief Growth Officer? 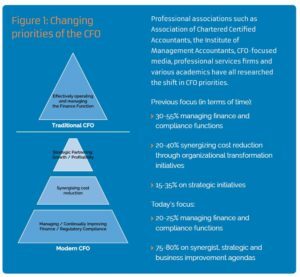 Interesting, much of the literature on the role of the CFO is moving to strategy. Too bad the hiring managers or those creating the hiring specification haven’t caught on to this “new” trend. I say “new” because I and many in my network have always been strategically focused. It still the same old list of functions and requirements, that these hiring spend all their time fretting about; mostly related to accounting. In fact I was questioned recently by HR on how many years of experience I have with A/R; this for a CFO role. And as long as this narrow-view, myopic and in my humble opinion an organizational self-destructing road to de-innovation, the role of the CFO can’t change. It is a sad commentary on business, on the CEO/Board and underscores the issues I have with talent acquisition in today’s environment. There are those that do not understand what a CFO does. There are those that do not understand what they need from a CFO. CFOs have a part in helping others understand the value they bring to the table. Others can be blamed for not understanding what CFOs do. CFOs (others, not you Wayne) need to take more responsibility to help others see the real value they bring to the table. CFO is the backbone of the company. It is really important to grasp and accept the importance of CFO in business so as to escalate growth. 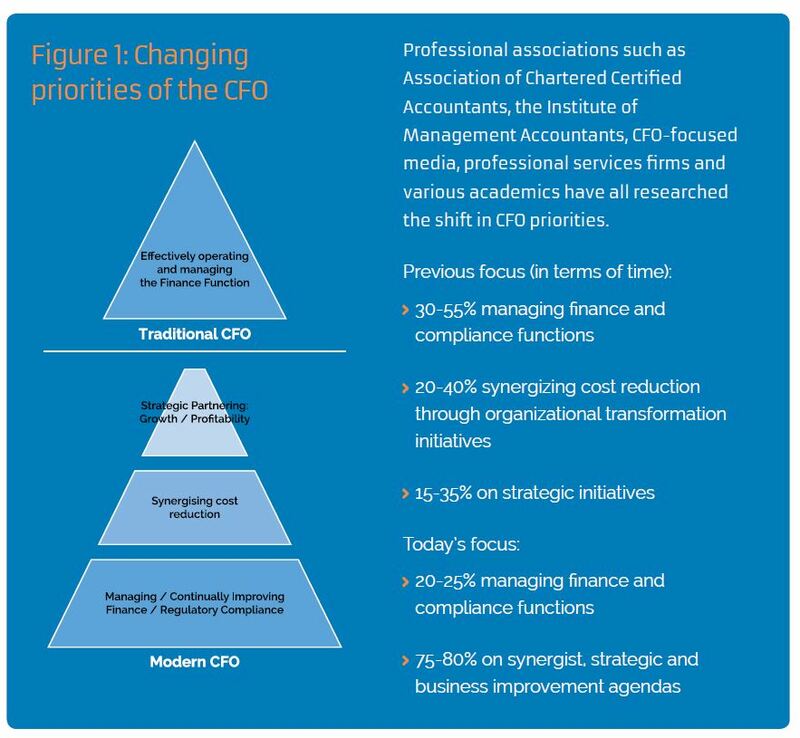 CFO should be given utmost importance and complete access to participate in the business matter. CFO’s must be the Chief Future Officer as CFOs have access to financial and customer data across the organization. As a result, a good CFO can develop actionable data to inform decision-making. In addition, the CFO is not tied to any one business, but rather focuses on the overall results of the company; therefore, the CFO can remain unbiased when developing strategic alternatives. For this reason, the CFO is well-equipped to assist and advise the CEO.